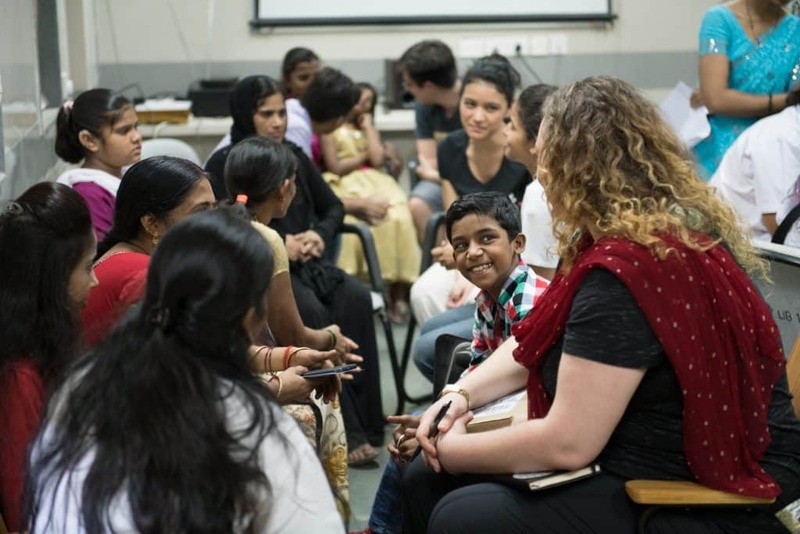 It was just one year ago a team of RealSelf staff visited India with ReSurge International. The medical professionals and patients we met were inspirational—they exude optimism and accomplish life-altering changes with few resources. We visited Dehradun where we met longtime ReSurge partners Dr. Kush Aeron & his father Dr. Yogi Aeron. Yogi started working with ReSurge years ago, and his son Kush has continued the work. Kush and his team built a small hospital to provide reconstructive surgery and treatment for people from all over the region. Our first day was clinic day when we met more than 120 people who signed up to be evaluated for surgery by the ReSurge team. People traveled hours—or even days—with their families for the chance to get surgical care to enable them to live a more confident life. Entire families waited late into the night, but the ReSurge doctors and therapists stayed as long as it took to make sure they saw every person who showed up. 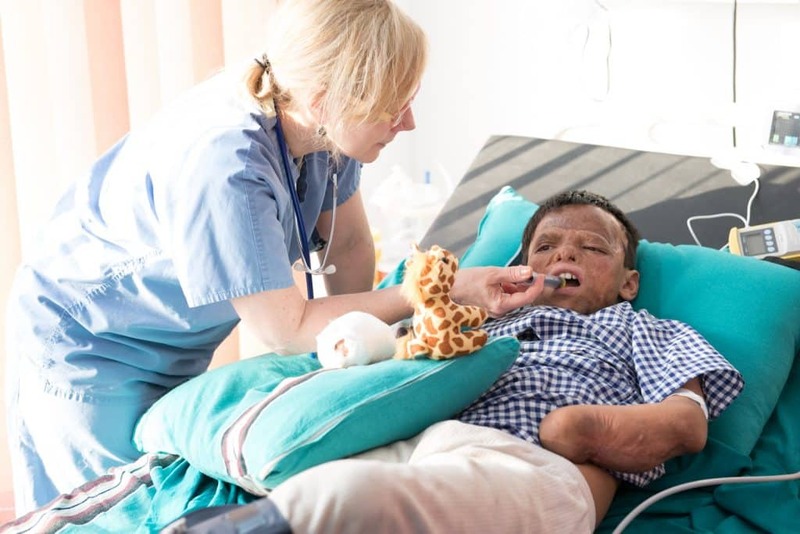 They evaluated each person to determine how much they could treat, how successful surgery would be, and if they could use it as a teaching case to enable Kush and his team to change more lives in the future. One of the first things we learned is that repairing scar tissue from severe burns is often a multi-stage process. The surgeons build relationships with their patients and get to know them as they come back for one surgery after another. The first surgery might release scar tissue that keeps their chin attached to their shoulder. The next surgery might release their thumb so they can more easily hold a pen to write or a fork to eat. Holding a fork seems like such a small thing, but it can affect the quality of life for the entire family. The ability to feed oneself not only directly affects the patient’s quality of life and confidence, but it can also impact the need for a full-time caregiver. These incremental surgeries mean it’s critically important to continue to educate the local providers so they can provide that necessary ongoing care. A man receives a creatively fashioned prosthetic arm so he can operate his motorcycle as part of his job. 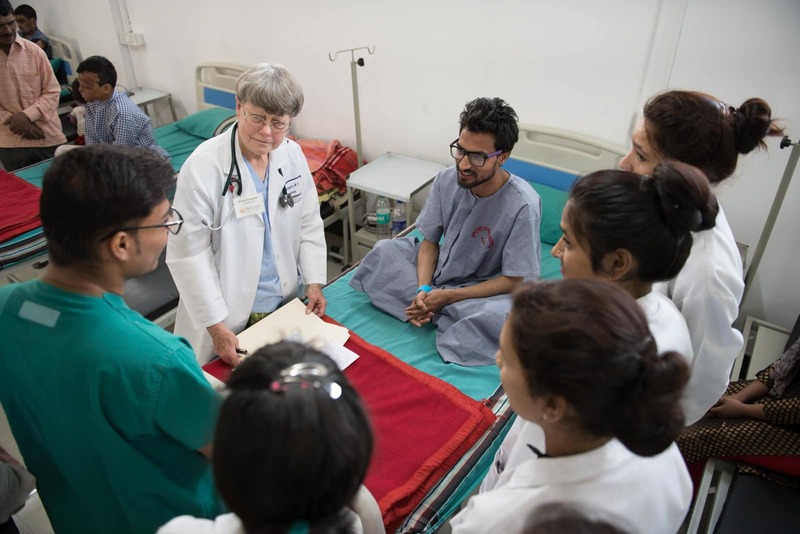 Our time in Dehradun was short, but ReSurge and their surgical team stayed for two weeks to operate and continue their work with Kush. The knowledge transfer between surgeons can help change hundreds of lives, or even thousands if you consider how surgery can help change the outlook for an entire family.